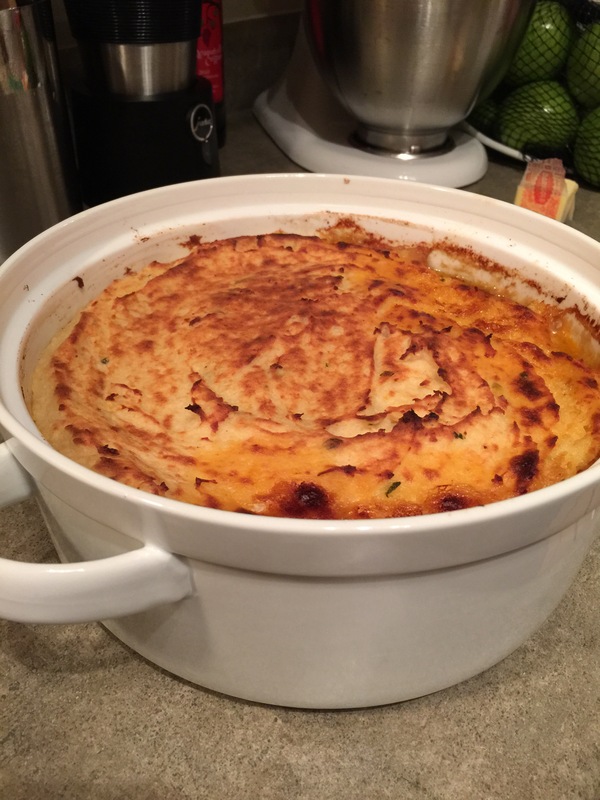 Guinness Shepherd’s Pie – Abbey Co. I am not going to lie; St. Patty’s Day is one of my favorite holidays. I mean really, what doesn’t sound good about a holiday that revolves around drinking beer and eating hearty Irish food!? March 17th also ironically marks the day of the first date that my husband and I went on (wayyyy back in 2008 if you believe that! ), so we always like to make a fun dinner to celebrate. Shepherd’s Pie is one of my husband’s favorites. The beef cooked in the Guinness holds in a lot of flavor, and adding some cheese into the potato layer on top surely gets this dish a spot on top of the ‘comfort food’ list. Preheat your oven to 350 degrees Fahrenheit. On the stovetop, start a large pot of water and boil your potatoes until cooked. In a large skillet or Dutch Oven, warm your olive oil, then toss in your beef. Brown while adding your garlic, rosemary, thyme, and salt/pepper to taste. Stir in Guinness, tomato paste, Worcestershire, and beef stock. Bring to a heavy simmer and let it start to reduce. Toss your flour over the meat evenly and stir. You should see it start to thicken. Continue to simmer and toss in your veggies. The final consistency should be that of a sauce – not too thick but holding some form. Pour your meat layer into a ceramic baking casserole dish. Drain your potatoes and place back into the pot. Toss in butter (should melt from the heat of the potatoes), and pour in milk. Mash to desired thickness. Season to taste with garlic, salt, and pepper. Stir in your cup of cheddar cheese. Spread your potato layer evenly over the top of your meat layer in the casserole dish. Bake for 30-40 minutes until bubbly. If you would like a nice golden finish on your potatoes, when done cooking switch to broil for 2-3 minutes, only enough to get some color on top. Pair with a nice cold Guinness or Smithwick’s for added authenticity 🙂 Happy St. Patty’s Day! Fresh out of the oven. I did just a minute or two of broil to get the top that beautiful golden color! Served with a side of Irish Soda Bread. Yum! We paired with some Smithwick’s Premium Irish Ale. I love these chalkboard glasses we got from Pier 1 years ago. I translated our names into Irish 😉 haha! Pingback: Three Recipes that will guarantee you win St. Patrick’s Day! – Abbey Co.